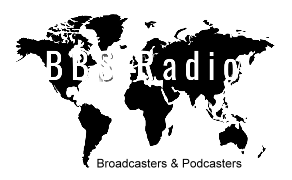 Broadcasters are listed on BBS Radio's main schedule page (https://bbsradio.com/station1and2schedule), on BBS Radio's main page (https://bbsradio.com), on Station 1 (https://bbsradio.com/station1schedule) or Station 2 (https://bbsradio.com/station2schedule) schedule pages, and on BBS Radio's live talk radio show listing page (https://bbsradio.com/station1and2). All pages include the broadcasters show name and host name links to the host's talk show program page and user profile page! Co-host names are also visible and linked.